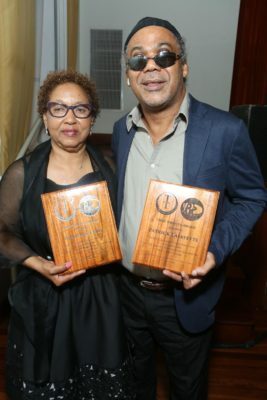 Veteran Jamaican Broadcaster, Patrick Lafayette, was on Saturday night recognized for his contribution to and preservation of Jamaican culture and music by the True Tribute Organisation at the Jamaica Performing Arts Centre in New York. 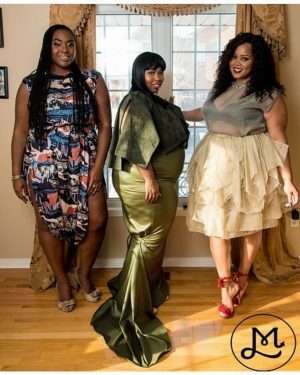 “This is my first award and I am truly happy that my work over the years is being recognized,’ said Lafayette, who heads the online radio station, www.chrismixradio.com. 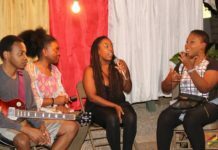 He has been producing audio content on Jamaican and Caribbean music for his station as well as other entities such as VP Records, XM Satellite station and the BBC for a number of years. His productions rely a lot on Apple technologies and his use of Apple products was featured by the company in early 2017. Lafayette was one of 18 persons awarded. The other awardees were LeRoy Graham (Journalist), Clement Dodd (Music Producer), Cecil Campbell also known as Prince Buster (Music producer and singer), Ronald Wilson (Music Pioneer), Patricia Chin (Founder VP Records), Francine Chin (Radio Broadcaster), Sharon Gordon (Journalist), Monica Johnson also known as Doreen Schafer (singer with the Skatalites), Safia Seivwright (Radio Broadcaster), Jefferson Barnes (Radio Broadcaster), Irwin Claire (Co-Founder Caribbean Immigrant Services), Charles Cameron (Music Pioneer), Alonzo Connell (Music Arranger), Carl McDonald (Singer), Eric Monty Morris (Singer), Lester Sterling (Founding Member of the Skatalites), and Winston Tucker (Radio Host and Community Advocate). Lafayette has worked on Jamaican radio for over 30 years – stations such as FAME FM, KLAS FM and Kool 97FM – the last two of which he helped to start up. In 2014 he started www.chrismixradio.com which features Jamaican and Caribbean music content and has a strong diaspora listenership. 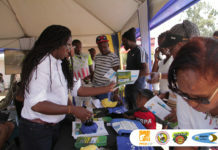 His radio station is also a part of the World Wide Radio Network, a partnership he helped to form with over 8 radio stations globally (including Kool 97FM in Jamaica, Foundation Radio in Florida, 1095 JAMZ in New York and Vybz Radio in London) which syndicate selected content from each other. Lafayette’s content production skills were recently featured by Apple in August at their 103 Prince Street store in New York where he was asked to present to an open audience on podcasting. In addition to production, Lafayette also sings. His latest single, “Love ain’t easy’ was released in April 2018 and is available on iTunes/Apple Music. It debuted at number 22 on the Foundation Radio Network Top 30 Music Chart heard on www.clintonlindsay.com.